I wanted to share with you today one of my "go-to" lip colors for summer. This is one I've already started wearing a couple days a week, and I can only see that continuing. I wore this one a lot last summer too. 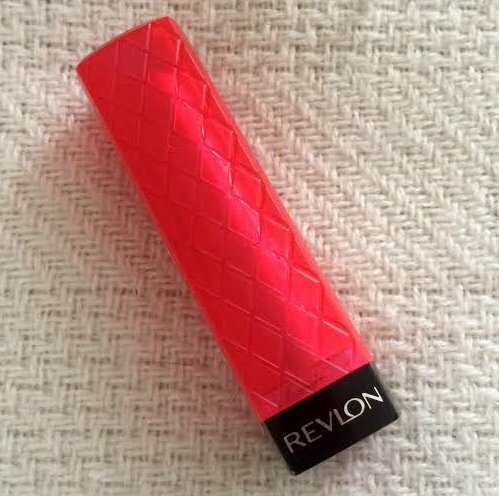 This one is part of Revlon's Color Burst Lip Butter line. I love this line so much as I find this the perfect medium in between a lipstick and a tinted lip balm. Color: This is a beautiful mix of a juicy red, pink, and coral shade. I'd say this definitely leans toward a red-coral shade. What I like about this color is it's very wearable. The color pay off on this lip butter is excellent. It's not heavy handed as it's a sheerer wash of color, but it's definitely more pigmented than a tinted lip balm. Formula and Feel: Excellent formulation. This feel very moisturizing on the lips without being heavy or sticky. 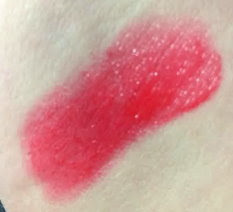 Application and Wear: This glides easily on the lips and there is no need to layer it for more pigmentation. This wears well too. I only needed to reapply this after eating or drinking. Price: This can be purchased in the $4.50-$8.00 range at major drugstores, big box stores, or Ulta. Overall: This is a beautiful juicy lip color for summer. I love the pigmentation and how wearable this color is . The formula is great and it feels very comfortable on the lips. I definitely think this is a must have in your lipstick collection for sure. That looks like a perfect Summer shade indeed! I love Lip Butters! I don't have this one. It looks great on you. I love this one as well! I need to wear it more often! What a juicy color on you! I own a few of these lip butters and there one of my favorite lip products. I love these lip butters! When you posted this, I remembered that I have this one so I pulled it out to wear asap-- it's such a great summer color! Wild Watermelon looks great on you!! I think I need this color :) Thanks for the review!